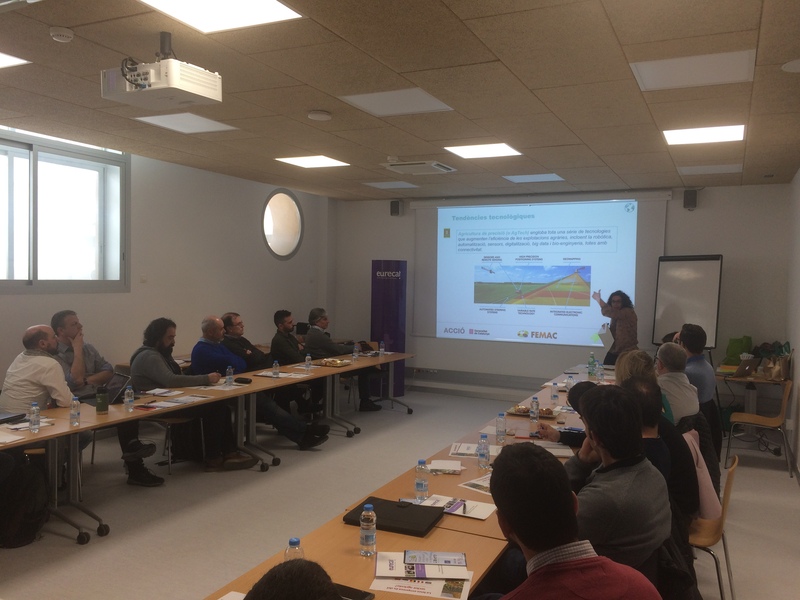 FEMAC, in collaboration with EURECAT, organized on 22nd March, 2018 , a workshop in the framework of its Working Group on Digitization in the Agricultural Production Production Means Sector of Catalonia, to conclude the answers that FEMAC carried out on the digitization during the months of December 2017 to January 2018, to analyze their needs. In this working session that was moderated by Ms. Inés Sagrario, of the firm competitiveness, opened a debate on how companies can face the challenges of DIGITAL agriculture, and seek complementarities, among the different companies of the value chain. Companies present ( SEMILLAS FITÓ, AGRICOLUM, HEMAV, HESPERIDES, TEYME, ARCUSIN, JYMPA, La Universitat de Lleida,AGROPIXEL; GRUP VIRKAR ; BARCELONA PUFFIN CONSULTING ; GLOBAL LLEIDA ; ITC, SL ; RIDAPO ; EUNOIA, BIOVERT, SA ) ,They shared their experiences, and their particular analysis of how they were addressing digitization within their companies.